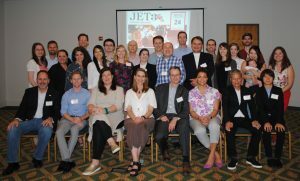 This year, USJETAA again facilitated a Leadership Program (formerly named the Mentorship Program), with the goal of providing JETAA chapters and subchapters the opportunity to work with USJETAA on the goals and priorities on which they would like additional support, covering areas such as governance, board-relations, membership outreach and marketing. The program is meant to be more than a one-day needs assessment; it is the start of an ongoing dialog between the participating chapters and USJETAA. One to three representatives from USJETAA typically visit three chapters each year as part of the program. For the 2017-2018 grant year, USJETAA partnered with CLAIR and the Japan Foundation CGP to fund leadership visits to JETAA New England, JETAA Florida, JETAA Portland, and JETAA Rocky Mountain. Read on to hear more about these trips. Does your chapter want to participate? Apply here! In early 2018, USJETAA visited four different JETAA chapters JETAA New England, JETAA Florida, JETAA Portland, and JETAA Rocky Mountain (last year USJETAA visited two chapters). Approximately 60 JET alumni attended all of the events combined, representing the 4 chapters with an average of 300 members. 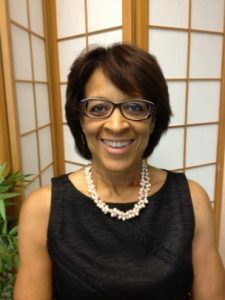 Since the meetings, USJETAA Executive Director Bahia Simons-Lane has continued contact with the JETAA chapters and is happy to learn that they are moving forward on many of the efforts discussed during the meetings. USJETAA chose to visit JETAA Rocky Mountain, the chapter considering hosting the National Conference, to provide support for the chapter's undertaking of the conference. USJETAA has continued to support JETAARM in planning the conference and this year will be taking a co-sponsoring role. By increasing the level of involvement in the National Conference, USJETAA is able to provide financial support, donation capabilities, and additional support. 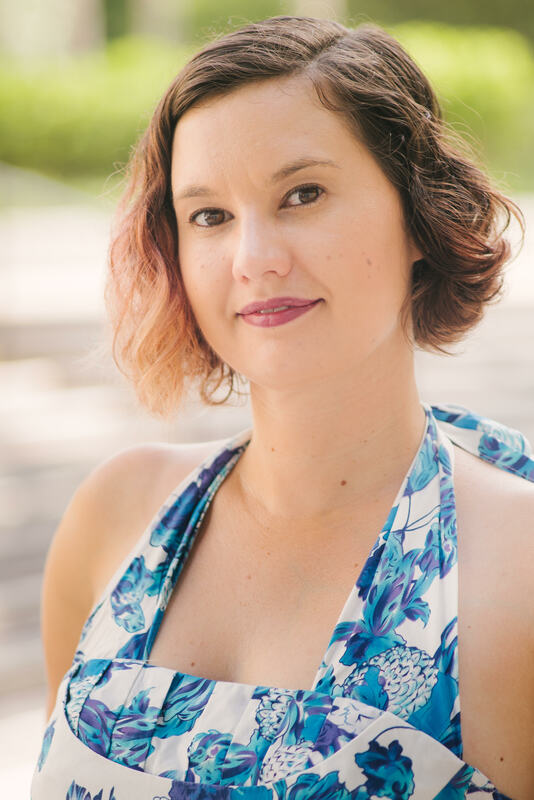 The two chapters visited in 2017 year (the Pittsburgh subchapter and JETAA Florida) have demonstrated growth since the visits made under Laurel Lukaszewski's (former Executive Director of USJETAA) guidance. 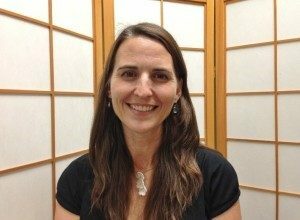 In particular, JETAA Pittsburgh and JETAA Florida have contacted USJETAA to discuss this year's Sasakawa USA grant. JETAA Florida has also increased the number of events they hold annually and are taking on larger events, such as their own JET30 reunion event. JETAA Pittsburgh is also working on strengthening the sister city relationship between Pittsburgh and Saitama-shi. These trips also give the Executive Director and the board members who visit a better understanding of the needs and struggles of JETAA chapters overall and the needs of specific chapters so that the organization can be a supportive source and place to go for advice and assistance to the chapters. During the course of these visits, USJETAA learned about various challenges faced by JETAA chapters, including lack of manpower, issues in communication, not having or trying to maintain a 501(c)3 status, and covering a broad area. Some chapters find it difficult to fill positions after officers step down. One of the biggest questions chapters have is how to maintain consistency from year to year when JETs in certain areas are transitory. With transitions in leadership also comes a loss in institutional knowledge, which can make it hard for the chapter to grow and make it difficult to maintain 501(c)3 status. Chapters maintaining their 501(c)3 status have difficulties doing so due to the transitions of officers, and those chapters that do not have 501(c)3 status have found difficulties in opening bank accounts. Officers often feel as if they do not have enough time or manpower to bring their ideas to fruition, but are afraid of pressuring new JET returnees to volunteer immediately. Many chapters also feel as if they are spread too thin, especially in cases where one chapter covers multiple states. Outreach to JET alumni in states with fewer alumni becomes more challenging, especially when one of the most important means of communication is by word of mouth, as not everyone uses social media platforms such as Facebook. Finally, some chapters had concerns about the JET Program being deprioritized or defunded and the negative impact this would play on the JET alumni associations. One of the reasons USJETAA was created was to so that should the level of support from the Japanese government for JETAA chapters change there is an umbrella organization that can continue to support the chapters. 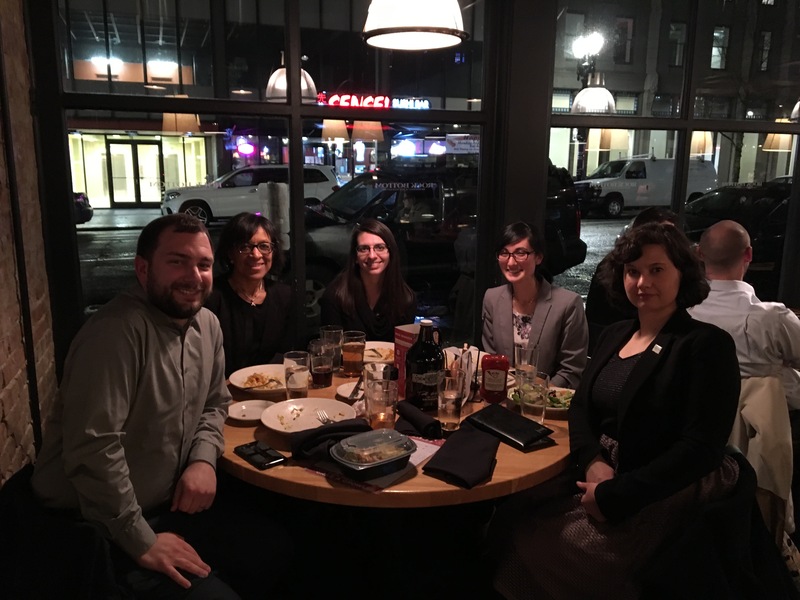 On February 2nd, Bahia Simons-Lane (Executive Director), Paige Cottingham-Streater (Chair of the Board of Directors), and Stephanie Sanders (Acting Project Director) flew to Cambridge, MA for a leadership visit with JETAA New England. 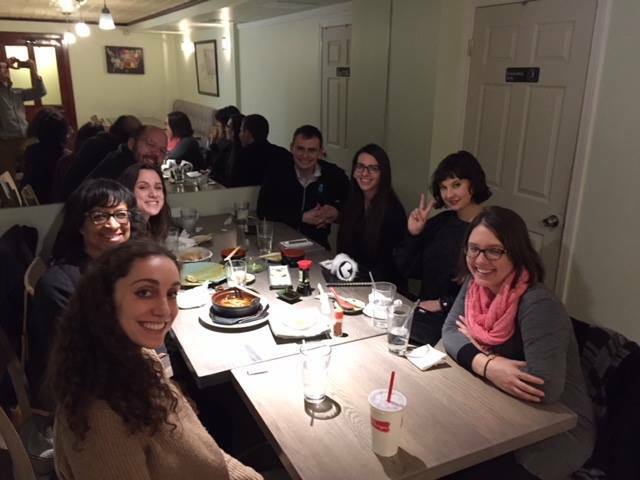 The meeting took place at the Takemura Japanese Restaurant, followed by a networking hour at the nearby Park Restaurant and Bar that was open to JET alumni who were not elected officers. Five officers of JETAANE attended the meeting: Becca Simas (President), Kayla Potter (Membership Coordinator), Jesse Kerstetter (Social Chair), and Rachel Pauplis (Treasurer), Josephine Chong (Webmaster), plus the out-going president Dan Lowe. The meeting over dinner addressed the strengths and weaknesses of the chapter and the types of support they would like from USJETAA. The JETAANE officers described their chapter as small and not very active, with between 250 and 300 members across six states, but they hold a number of robust annual events, including a ski trip open to JET alumni from other chapters, JapanFest Boston where they help recruit for new JETs, and the Brookline Cherry Blossom Festival. JETAANE hosted about 25-30 meetings & events last year, including their general meetings. They also hold a JET crash course in collaboration with the Boston Japanese Consulate, and hosted by Showa University. The course teaches outgoing JET participant survival Japanese and the basics of teaching EFL, which makes up about 80% of the crash course. They were able to get MOFA funding to hire two JET alumni with master’s degrees in EFL to teach the class. This is an optional course, but about 60% of outgoing JETs choose to participate last year. Laurel Lukaszewski (USJETAA Board member and former Executive Director) took part in Florida JETAA’s celebration of 30 years of the JET Program and then joined the officers of JETAA Florida for their annual board meeting. The JET 30 event was held from 9:45 a.m. - 2:30 p.m., giving the approximately 30 attendees and panelists the opportunity to meet, network, and reconnect. 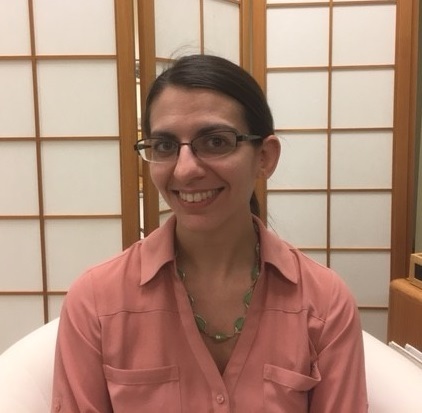 Laurel Lukaszewski represented USJETAA and spoke on a panel with Matt Gillam from CLAIR NY about changes in the US-Japan relationship and the JET Program over the past 30 years. Following that panel, a panel of Florida alumni spoke representing various professions and industries. Speakers included Hilary Brown, Kyle Litow, Eboni Stanton, and Michael Maloney. 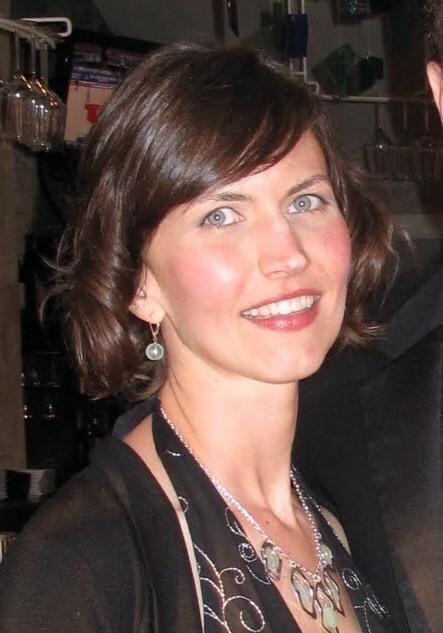 From an alumni who was on the first year of the program and her work as a professional translator and event planner, and an elite gymnast who returned from JET to go to med-school and is now a surgeon, to an alumni working in the tech field who participated as a MEXT fellow in grad school, and an executive director of the Diocese of St. Petersburg. All of them provided an enthusiastic message of how influential the JET Program was in leading them to their current profession. Also in attendance was the Japan Association of Orlando, as well as the alumnus from Tampa who established the annual Tampa Natsu Matsuri, John McGee (more about the Tampa Natsu Matsuri here and here). The entire event was inspiring and a wonderful way to engage alumni from all years of the program across Florida. The following day, Laurel met with members of the JETAA FL board for their annual planning meeting. Appleton Creative, the same venue that hosted USJETAA’s Mentorship visit in April 2017, hosted the meeting. In attendance were Lauren Sorondo (President), Sean Beckwith (Treasurer), Dolly Sanborn (Webmaster), Kyle Litow (Secretary), Lisa Postern (Jacksonville Region Representative), and Tom Gregorich (Orlando Region Representative). This meeting showed the momentum and progress the chapter has made over the past year. The goal of the meeting was to set the upcoming year’s calendar, establish priorities and finalize the budget. The half-day meeting, attended by eight board members and regional representatives was very productive and USJETAA was pleased to provide feedback and insight as needed. By attending, USJETAA was pleased to reiterate their commitment to the progress and growth of JETAA FL. Bahia Simons-Lane (Executive Director), Paige Cottingham-Streater (Chair of the Board of Directors), and Stephanie Sanders (Acting Project Director) flew to Portland, OR for a leadership visit with JETAA Portland. The meeting took place over dinner at the Rock Bottom Brewery with two of the chapter officers, President Michael Richey and Treasurer Anna Schneider, and after the dinner, the group met with some JET alumni who were not serving as officers for the chapter. While USJETAA had hoped to be able to meet with more officers, the conversation with Michael and Anna was dynamic and gave good insight into the successes and challenges of the chapter. USJETAA learned that in addition to the usual officers, JETAA Portland had some unique officer positions to serve their chapters: the Tabemashou! Chair, J-kaiwa Chair, and Book Club Chair. The Tabemashou! group gathers to explore, critique, and enjoy Japanese dining options in the Portland metro area. They order family style in order to sample menus extensively and casually critique the food, atmosphere, and value of each restaurant. J-Kaiwa is a once-monthly gathering for JET returnees to practice their Japanese in a comfortable atmosphere. The events are also open to friends of JET. Anyone interested in speaking Japanese and staying connected to Japan can attend. The JETAA Portland Book Club meets once each season to discuss works from Japanese authors and books related to Japan and Japanese culture. These chair positions are examples of how chapters can shape the officer positions to meet the unique needs of the chapter. Anna and Michael shared some of the chapter’s most successful events. Each year JETAA Portland prepares the new JETs for their lives in Japan by facilitating the Pre-Departure Orientation. They also hold a career panel and resume workshop to assist JET alumni. After the meeting, everyone relocated to the bar area where five JET alumni from the area joined the group for a happy hour. This gave USJETAA an opportunity to develop relationships with non-officers and talk about the role of the organization. In attendance was JET alumni Caliopy Glaros who runs her own business and has a background in fundraising. Since the meeting, she has offered pro bono support for USJETAA’s fundraising planning. This leadership visit also coincided with events that Sasakawa USA was holding in Portland so the USJETAA representatives took advantage of the opportunity to attend those events and make further connections in the U.S.-Japan community and in JETAA Portland. While Stephanie needed to return to D.C., Paige and Bahia we able to attend the public panel discussion co-hosted by World Oregon and the East-West Center in Washington and in partnership with the Japan-America Society of Oregon where Ambassador Zumwalt, Satu Limaye, Stephanie Segal, and Paul Taylor of Ajinomoto discussed “Impact on Trade, Economy, and Community: U.S.-Japan Relations in Portland, Oregon.” Following this, Paige and Bahia also joined the reception at the Portland Japanese Garden. The next night, Sasakawa USA co-hosted a private dinner with the JET Alumni Association of Portland in recognition of the key role that JET alumni play in contributing their in-depth and nuanced understanding of Japan to enhance cross-cultural understanding and strengthening U.S.-Japan bilateral relations in their local communities. Bahia was able to stay in Portland to attend this dinner and meet more of the Portland JET alumni, as well chat about USJETAA with them. The discussion was on “Strengthening U.S.-Japan Relations: Opportunities and Challenges for the JET Alumni,” and featured two JET Program alumni: Bill Clifford (Shizuoka Prefecture, 1987-89) and Doug Smith (Okayama Prefecture, 1987-89), International Business Development, Port of Portland. Michael Richey (Shiga Prefecture, 2008-10), Editor, Tofugu and President of JETAA Portland, moderated the discussion. 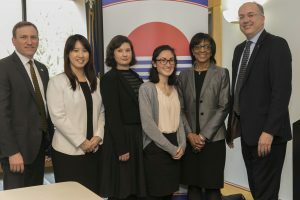 The speakers described how the JET Program experience has contributed to their individual careers and discussed opportunities for JET alumni to contribute toward strengthening the U.S.-Japan relationship. April 22, 2017, 10:00 a.m. – 4:00 p.m.
Bahia Simons-Lane (Executive Director) and Monica Yuki (Board Member, Country Representative for JETAA USA) flew into Colorado from Washington, D.C. for a leadership visit with JETAA Rocky Mountain. 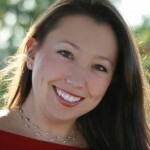 Jessyca Livingston (USJETAA Board Member) who is based in Denver also joined the meetings. 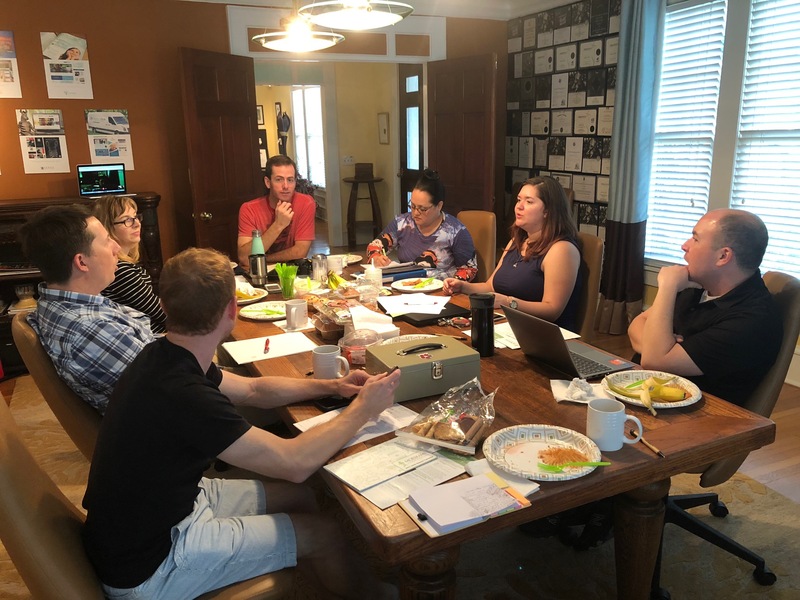 JETAA Rocky Mountain will be hosting the National Conference for JETAA chapters in September and part of the goal for this visit was to help the chapter begin preparing for the National Conference and provide support with the transition of new officers into the chapter leadership. On these trips, the USJETAA representatives also take the opportunity to meet with as many JET alumni in the area as possible to get a sense of the chapter as a whole and the alumni who make it up. Since the majority of the JET alumni served by JETAA RM are located in Denver and Boulder, the chapter arranged a happy hour event at a family friends brewery located halfway between the two cities. The event was a chance for Bahia, Monica, and Jessyca to get to know approximately 15 local JET alumni from different years of the program and chat about their experiences and needs. The brewery provided a relaxed setting for JET alumni to learn about USJEAA. 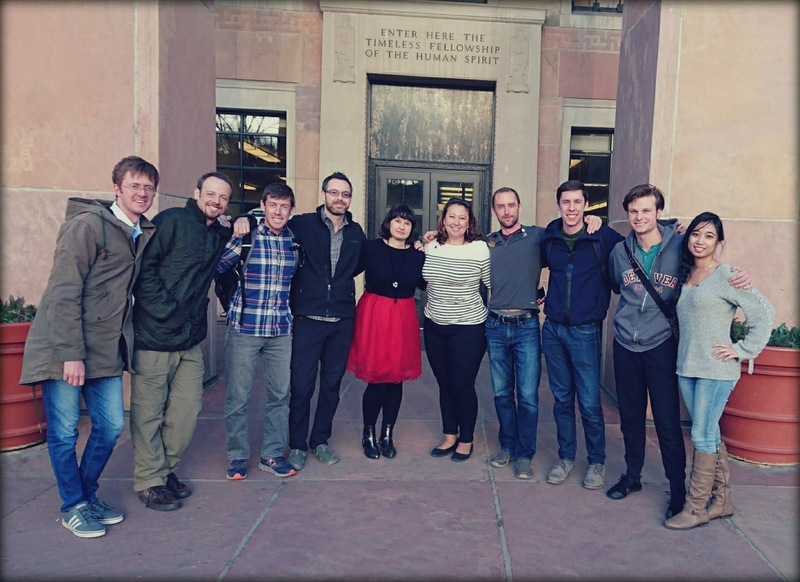 The next day, the three USJETAA representatives met with the incoming and outgoing JETAARM officers for a half-day working session at the University of Colorado Boulder. The first half of the session focused on leadership activities to guide the chapter over the coming year, led by Bahia, and the second half of the session was a working session on the National Conference, led by Monica. In attendance on the JETAARM side were Adam Lisbon (President), Van Milton (Outgoing Vice-President), Joe Mecha (Incoming Vice President), Michael Mattson (Treasurer), Taylor Pearce (Secretary), Teresa Galvez (Event and Social Media Coordinator), John McMillen (­­­­­Co-Newsletter Editor with Kat McMillen – not in attendance), and Charles St. John (Webmaster). The meeting began with a description of USJETAA and its mission and a summary of the difference between USJETAA and JETAA USA. Both guide and give advice to the JETAA chapters. USJETAA is non-profit organization created to support alumni of the JET program and has staff available to mentor and support JET alumni associations and can provide financial support. JETAA USA is made up of unpaid volunteers, but they have a budget to travel and support chapters and provide advice. Next, Bahia, Monica, and Jessyca provided some tips and suggestions for best practices for JET chapters based on their experiences with other chapters and leadership positions. Some of the important areas covered were: the importance of communication and transparency; asking for help when needed; keeping information and resources available for future leaders; and, using a board of advisors to keep more mature JET alumni with less free time involved in leadership. JETAARM is a community providing resources for future and former JETs in Colorado, New Mexico, Utah, and Wyoming. We continue to facilitate the US-Japan relationship through social, professional, and cultural activities. To wrap up the session, Bahia led the chapter in conducting a SWOT analysis. SWOT is a strategic analysis tool for organizations and it stands for strengths (internal), weaknesses (internal), opportunities (external), and threats (external). Some of the strengths the chapter identified were: the active participation of their alumni community, the connections they have with other Japan related organizations, the local Japanese community, and support from USJETA and JETAA USA. Some opportunities they identified were: piggybacking on events by other organizations, strong business community, hosting the National Conference this year, and the 2020 Olympics. Some of their threats were: the need to plan far in advance, lack of liability insurance needed from some events, board turnover, and communications across the Japan related groups and organizations. Once the leadership session was over, Monica lead the chapter in a discussion of planning the National Conference, which they had already started working on. Monica explained that when a chapter is planning a conference it’s important to consider the strength of the chapter and come up with a theme for the conference. She also explained that the main responsibilities of the Country Representatives are to get the other delegates to the conference and support the host chapter. They also discussed the hotel options researched by JETAARM, what entertainment can be offered in the evenings other than the official receptions, local activities for Sunday after the conference, volunteer prospects, possible local partnerships, how to secure donations, and potential speakers.